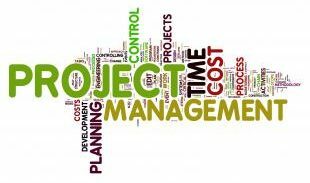 Project Management Challenges in the Space Shuttle Flight Design Program – Allman Professional Consulting, Inc. Many of the same competing project forces which are common in the business world are also well represented in the Shuttle Program. The Space Shuttle has always been a work-in-progress, constantly being reviewed, revised, studied, and improved. How is this constant change managed? Projects compete for scarce resources (knowledgeable staff, funding, time, etc.). Complicating the management of these competing forces is the nature of the program: America’s National Space Transportation System. Although the day-to-day work becomes as routine as it does in most environments, what we all work on everyday (designing Space Shuttle missions) requires a special attention and thoroughness. This presentation will discuss Space Shuttle flight design and the challenges, risks, and opportunities unique to driving projects in the shadow of Apollo and the rarified air of mission control.